Do you believe that the mottos of know thyself, and nothing in excess are useful for ones spiritual guidance in this world? This is a funny dog? Yes they were just as practical 4000 years ago as they are today. "To thine own self be true," said Polonius in Hamlet. “Everything in moderation, including moderation,” said Oscar Wilde. How did you find that picture of my ex-husband? Ow my god, you deserve MHO for that. 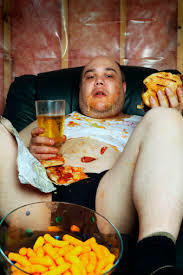 @Gothd011 I googled slob on the internet, and that was one of the best pictures. 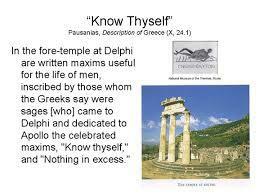 @Gothd011 Yeah I really was trying to sell ancient Greek spiritual ideas, endorsed at the temple of Delphi. I think that guy did the job. I think the purpose of being honest is to take the pain away. It that steadiness of awareness 24/7 that make it painful. What would you do if Science proved your religion was wrong? If god only made Adam and Eve and not Adam and Steve, who made Steve? Would you still be promiscuous if you knew you would go to Hell because of promiscuity? How do you, as a person, who is either religious or not, feel about your religion? Do you agree with the "rules"? What do you think is the best way to die? Yeah I think if religious institutions had messages like this advertising on their churches, they might have more parishioners. The first one, in my opinion, is vital for a fulfilling life. It's important because many of our decisions are effected our knowledge of who and what we are. The second, if followed, is important in many aspects of our lives. that's good wisdom, where come from? I don't know what are they. Can you explain it to me, please? When Greek pilgrims made their way to the Delphi temple, they carried offerings with them for the Oracle, they were seeking wisdom, could be prophetic knowledge, who to marry, how to run their business, the mottos of know thyself and nothing in excess were carved on the temple edifice. Oh, I see. Thanks for your answering. I think that's not useful at all. Because life doesn't work that way. No one can predict our future nor make choices for us. People do it everyday, what did you eat last night? where did it come from? And I could also control your mind if I met you too. We have limit control over our lives. Best quote by a modern pop band, "take the power back"
I choose my food. I'm sorry but I don't believe that you can control my mind, no one can do that. Unfortunately yeah mind control is possible. I still don't believe in it. I believe so. When you know who you are as a person you begin to understand what changes should be made in your life for the better. I think so. Spiritual or otherwise. To know one’s self is to understand who you are and your positives and well as your faults. Knowing your faults allows you to be a better person. It allows you to make your self better. My rear view mirror says it knows me better than it knows itself. Vote A. Although these mottos by themselves would be woefully inadequate to guide one's life. I understand them but still lean towards being a fat drunken slob. The earth has been around for 40 billion years. The earth used to be an ion like gas planet full of gas. How life was born in earth is still unknown. I'm on a seafood diet. 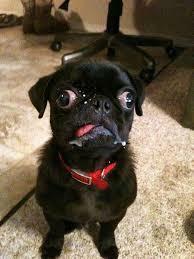 I see food, I eat it. I hope you don't have habits like that dude in the picture. Hahaha not by a long shot. Home > Religion & Spirituality > Do you believe that the mottos of know thyself, and nothing in excess are useful for ones spiritual guidance in this world?